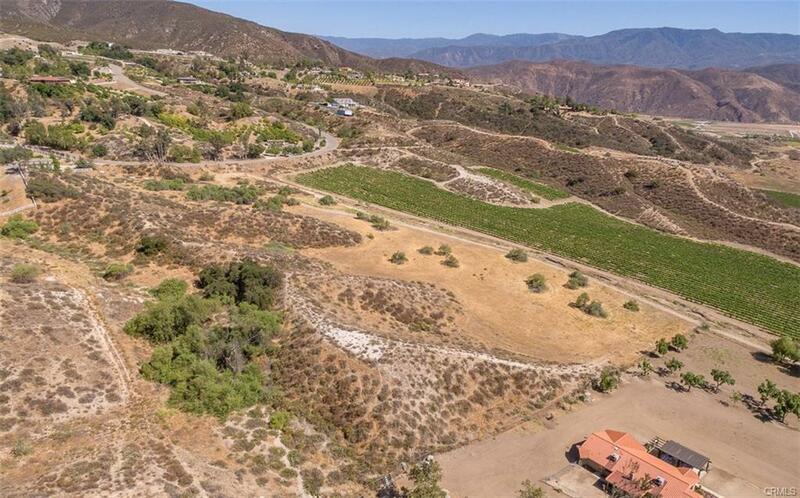 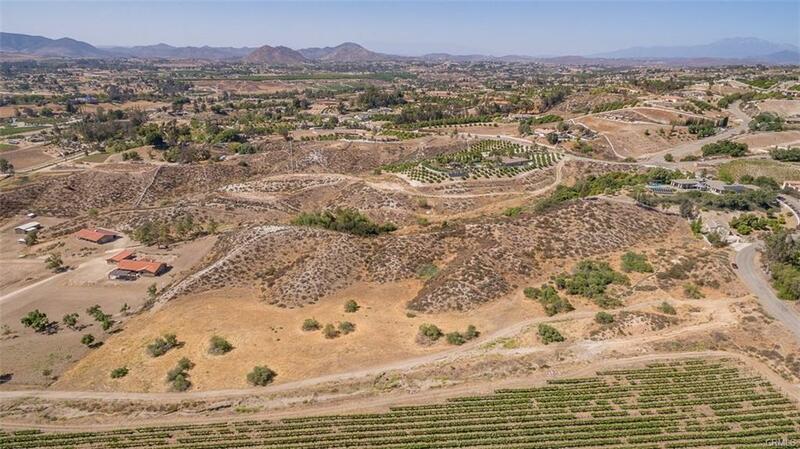 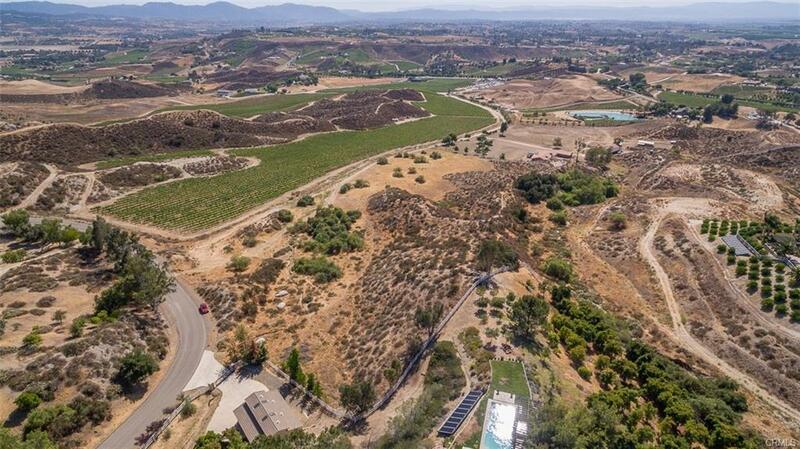 This Gorgeous land nestled in Temecula Wine Country has gorgeous views of the mountains, vineyard and Temecula Valley. 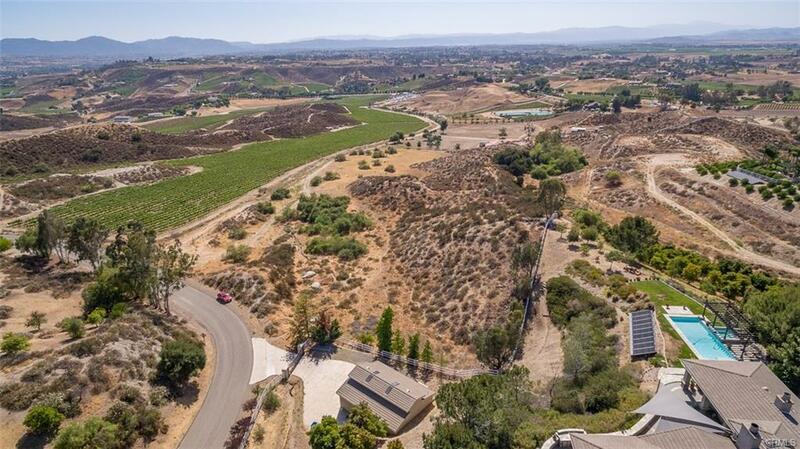 It is the perfect retreat and only minutes away from shopping, wineries and local entertainment. 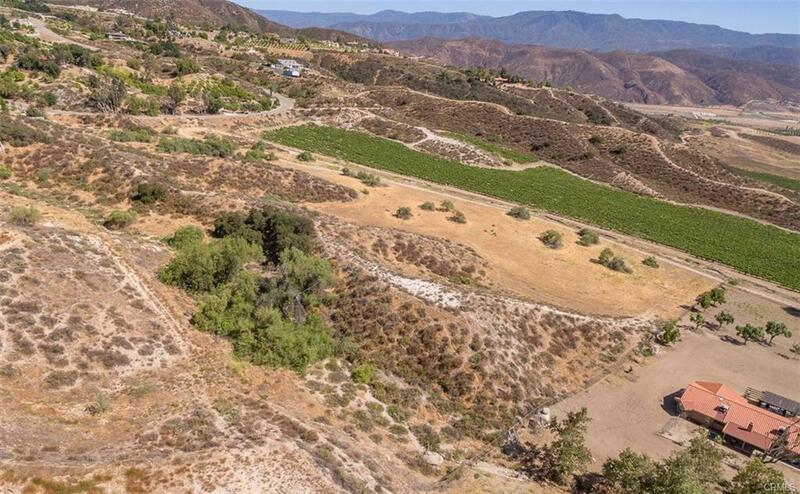 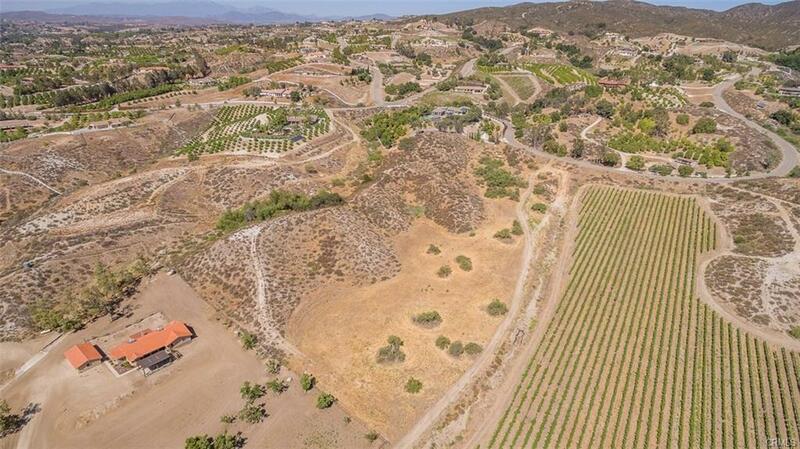 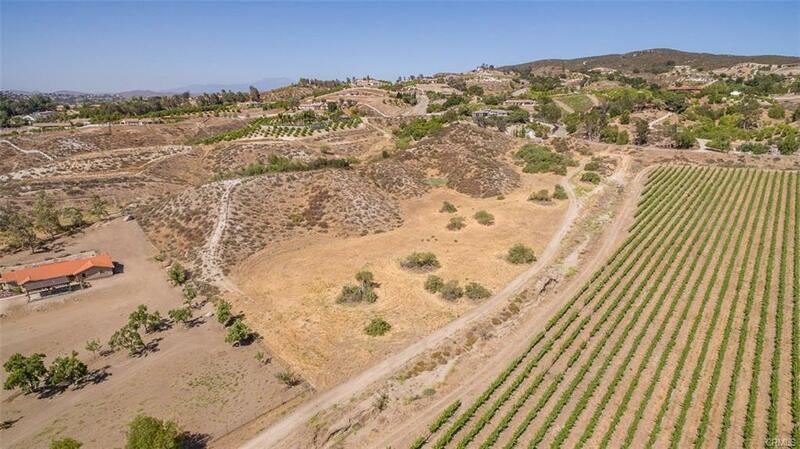 This amazing land lot can be used for horses, vineyards or custom homes. 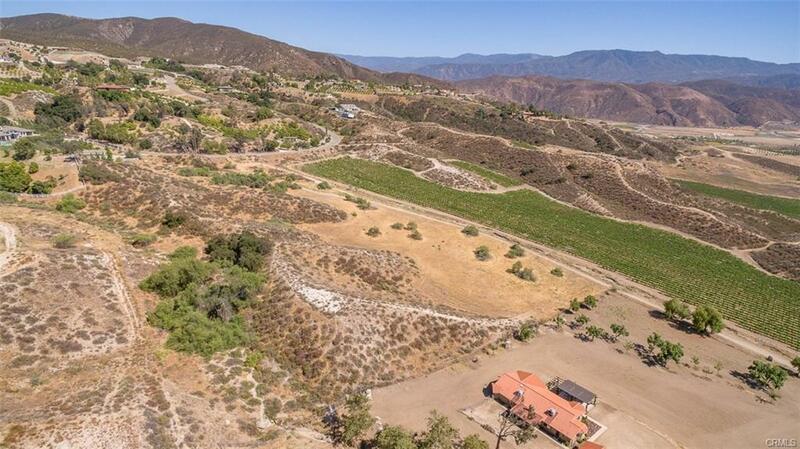 This property is 9.48 acres. 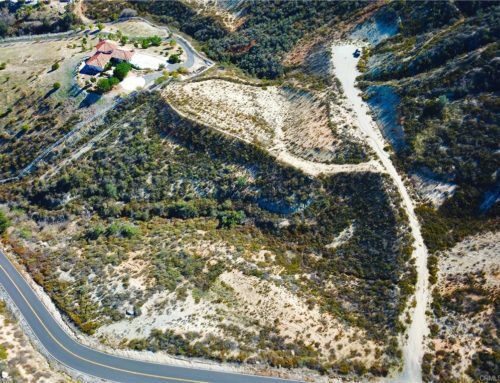 Water and power available, as well as paved road access at Chaparral Road and De Portola Road. 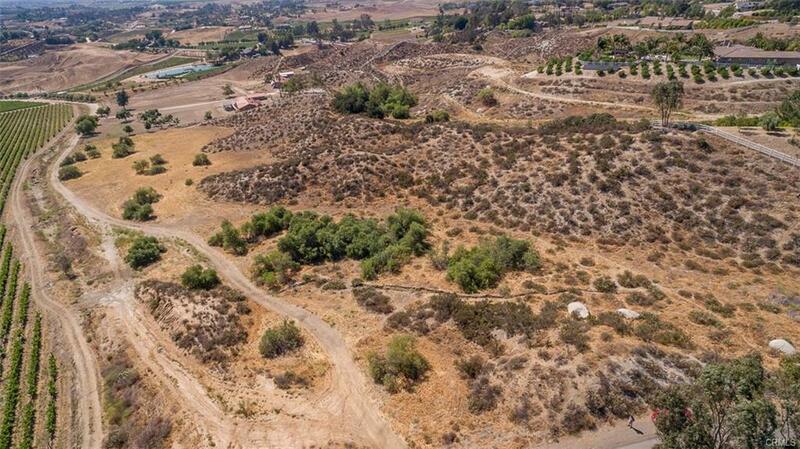 Perk test on both sides of the property has passed to determine the water absorption rate of soil, (that is, its capacity for percolation) in preparation for the building of a septic drain field (leach field) or infiltration basin, if so desired. 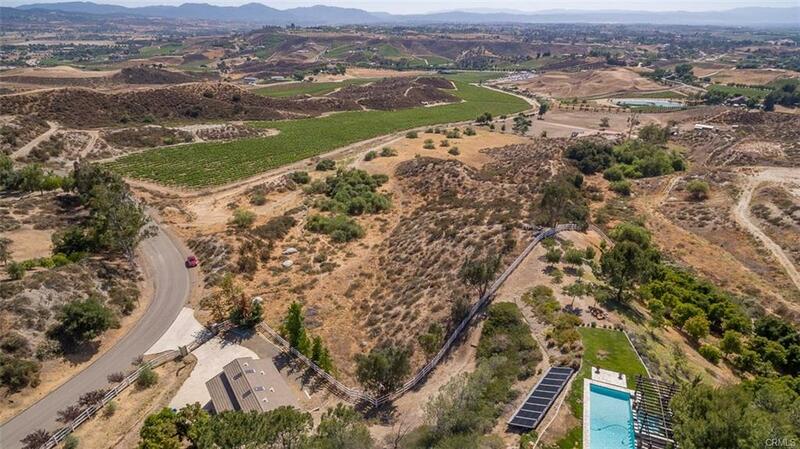 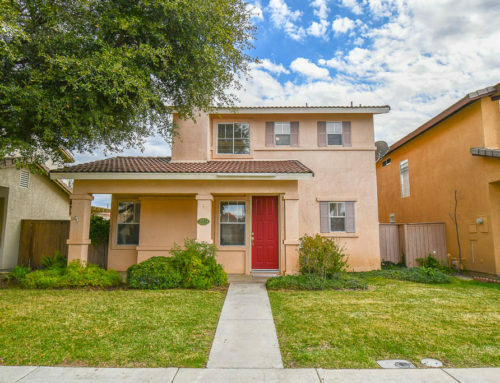 Come on in and take over this spectacular property! 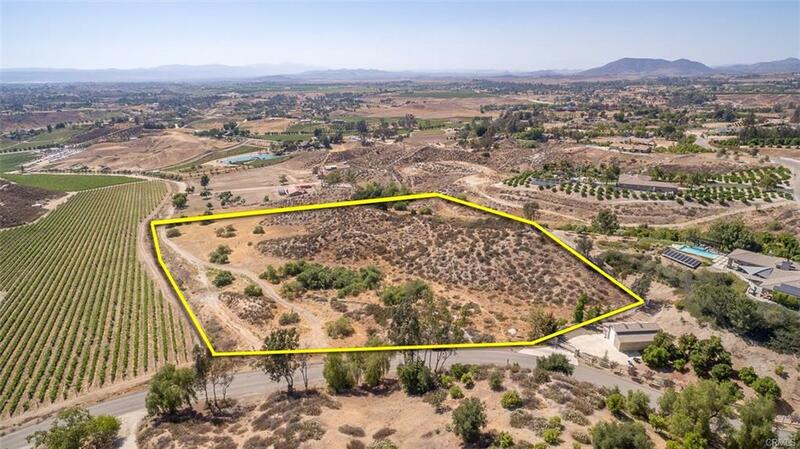 This lot is zoned R-A-5 the residential zones are as follows: A. 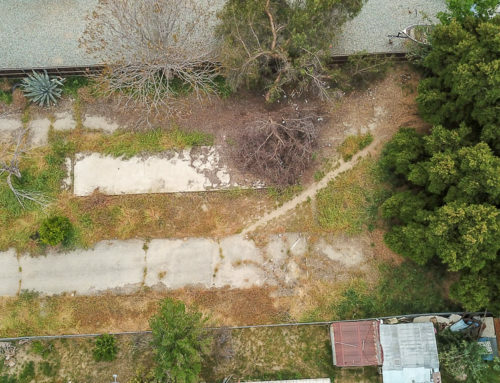 Residential Agricultural Zone (RA-5) – The Residential Agricultural Zone is established to provide areas where general agricultural uses can occur independently, or in conjunction with a single-family residence. 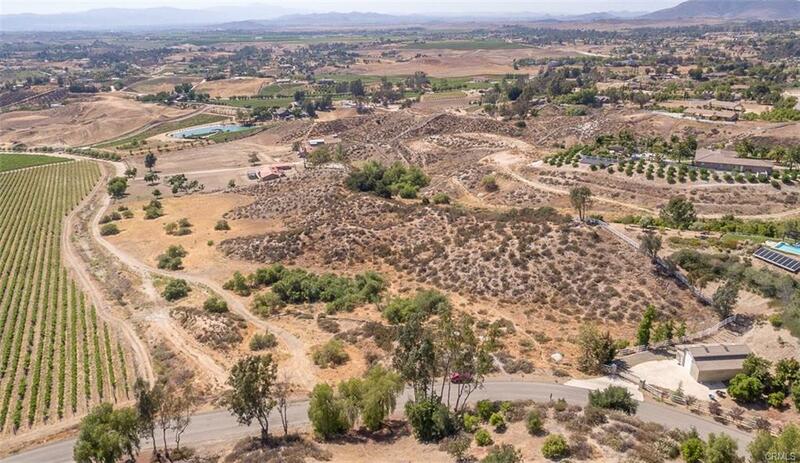 This preserves the agricultural character of the area. 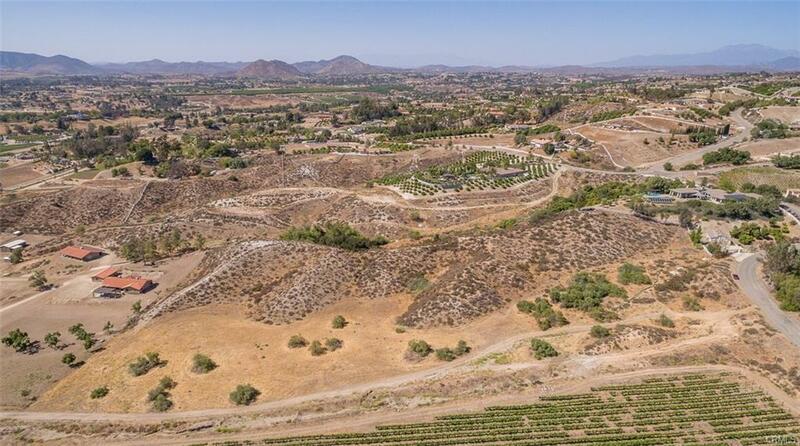 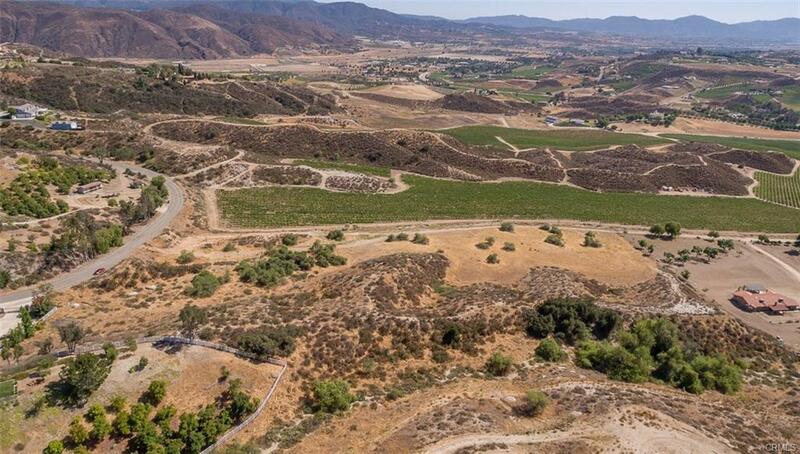 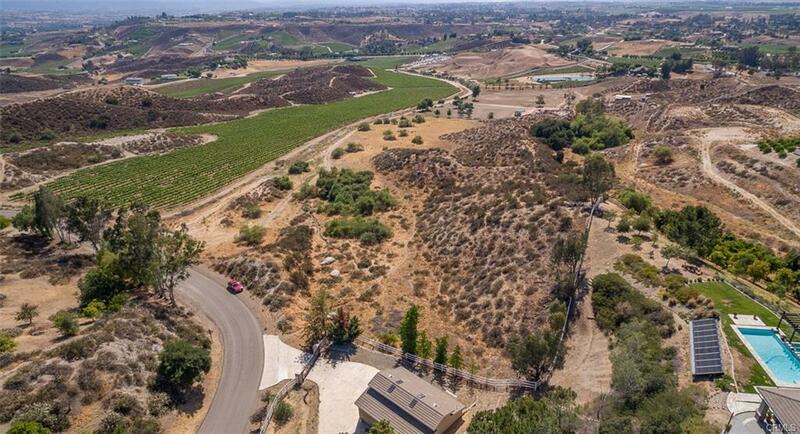 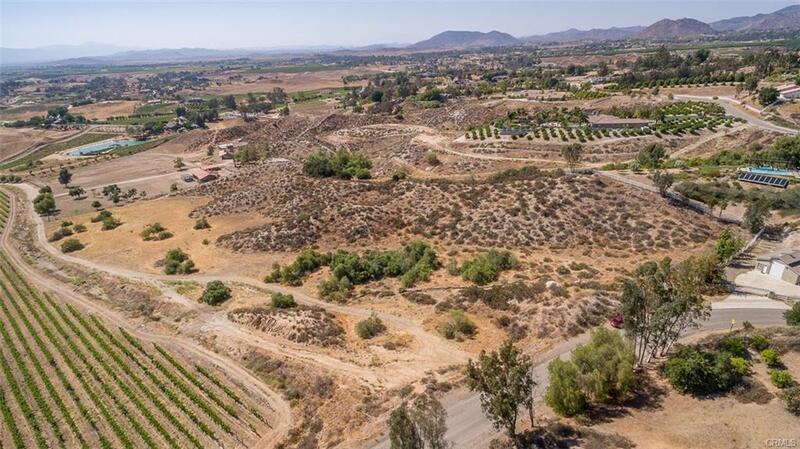 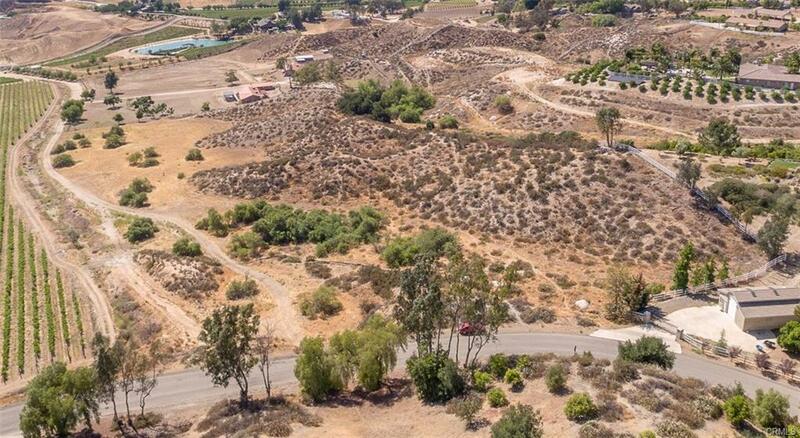 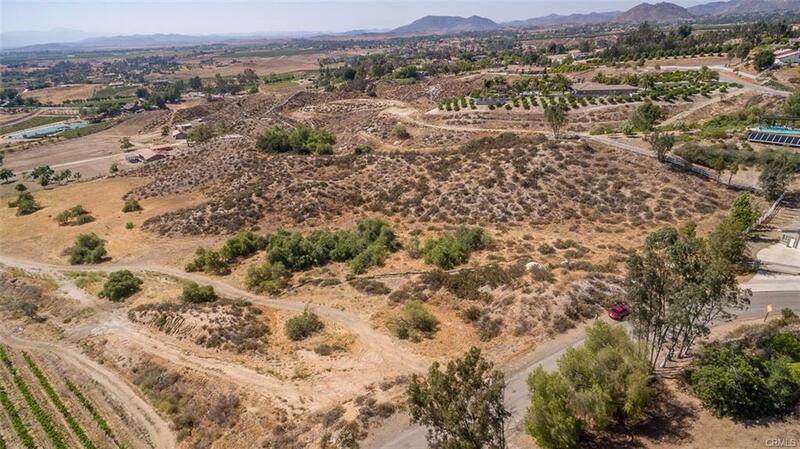 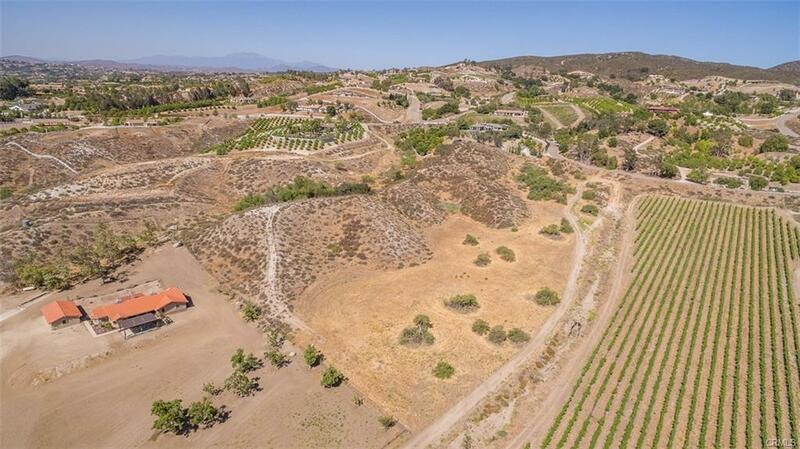 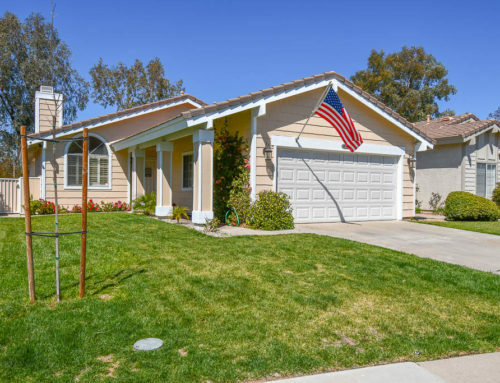 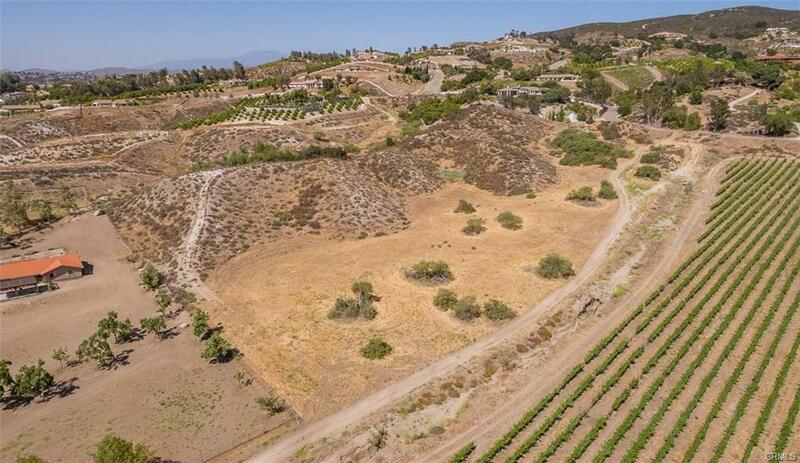 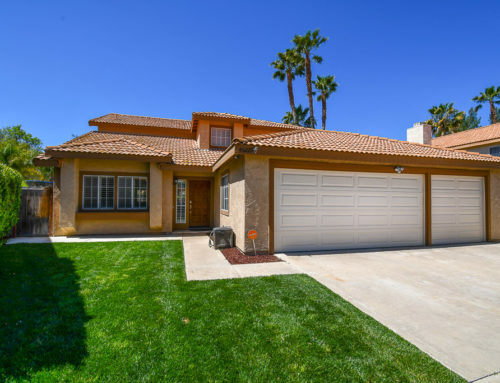 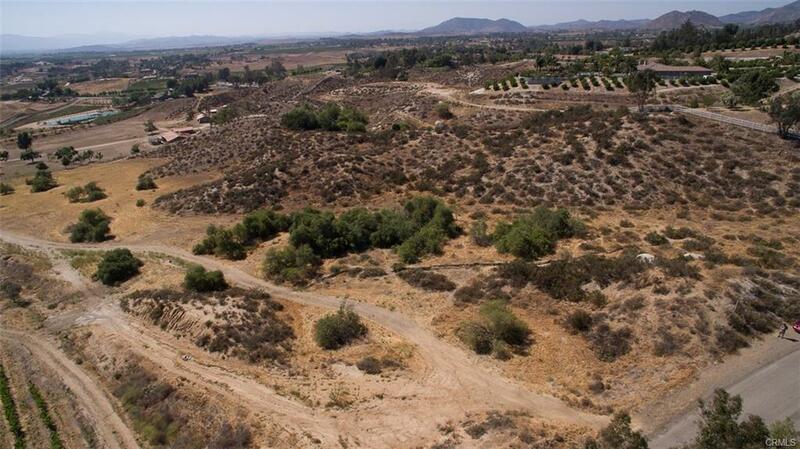 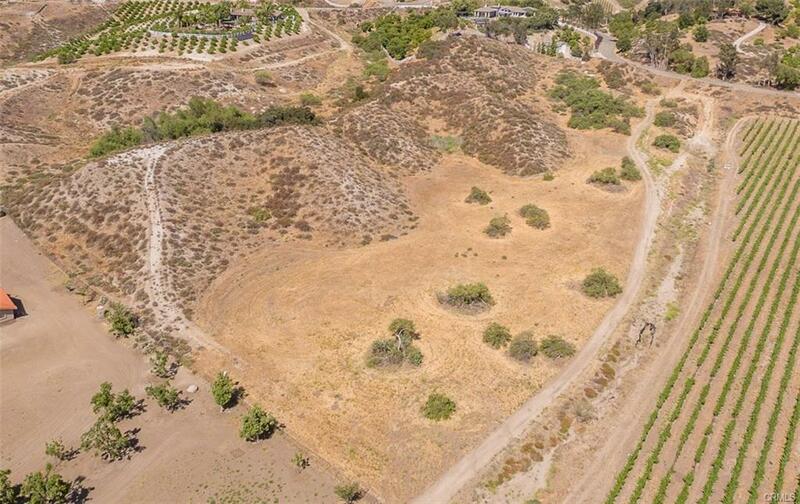 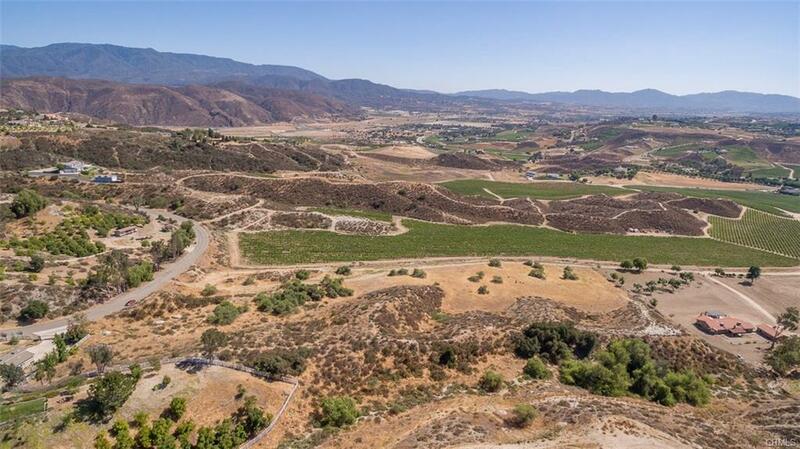 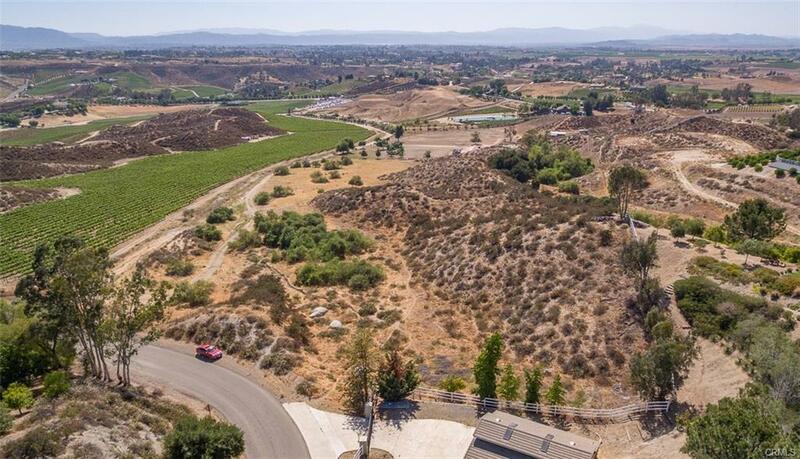 Want more information about this Temecula California Land for Sale in Temecula Wine Country?